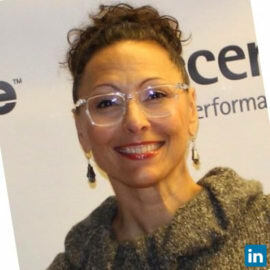 Kathleen Brenk, Director of HR Strategy & Implementation with CareerWise Colorado, consults on business partner talent strategy and program implementation for Colorado’s groundbreaking system of business led and student focused youth apprenticeships. Past leadership roles include CHRO at Recondo Technology and VP of People & Culture at Trust Company of America. Kathleen is an HR leader that believes in creative, strategic solutions and shaking up past practices to get things done smarter and faster. She serves on the boards of WorkLife Partnership and the PAVE Project and spends her spare time honing her improv skills, going to the theatre, and enjoying the outdoors while SUPing and hiking.